Is your green horse ready to start his eventing career but you aren't sure where to begin? Does your faithful campaigner need a pre-season tune up or do you have a sale horse who needs to build his competition record? Perhaps you own a talented horse that you want to see succeed in Eventing, but you don't have time to compete him yourself? Whatever your need, Bonnie has the time and expertise to help your horse reach his fullest potential. 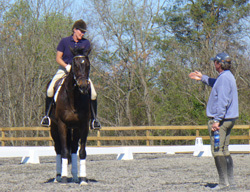 Bonnie teaches students of all levels, from the Novice to Advanced rider. Her students can be found at local and international competitions alike. She has coached students to numerous North American Young Rider Medals, through their first Novice competition and around their first Advanced course. Bonnie stresses fitness and safety in her teaching. She places great emphasis on the basics and encourages her students to move through the steps of training in a methodical manner. 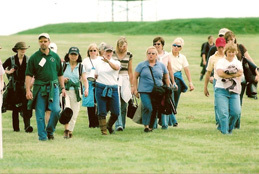 Whether you are aiming for you first FEI competition, want to perfect your technical skills at your current level or are preparing for a local horse trial, Bonnie will help you put together a systematic plan to help you reach your goal with success!